Ron MORELLI Spit vinyl at Juno Records. Given his stated role as curator at the head of the 'non-stop' LIES, it makes perfect sense that Ron Morelli would look elsewhere to issue his debut album. Gravitating towards the Hospital Productions label run by Dominick 'Vatican Shadow' Fernow makes equal sense given their shared appreciation of noise, ambient and industrial music. Apparently the first of three planned releases on Hospital from Morelli, it's no little surprise that Spit arrives with much expectation. Spend some time with the eight tracks that make up the LP and you'll begin to understand why Morelli has used such words as pressure, monotony and stress to describe the motivating emotions behind Spit. 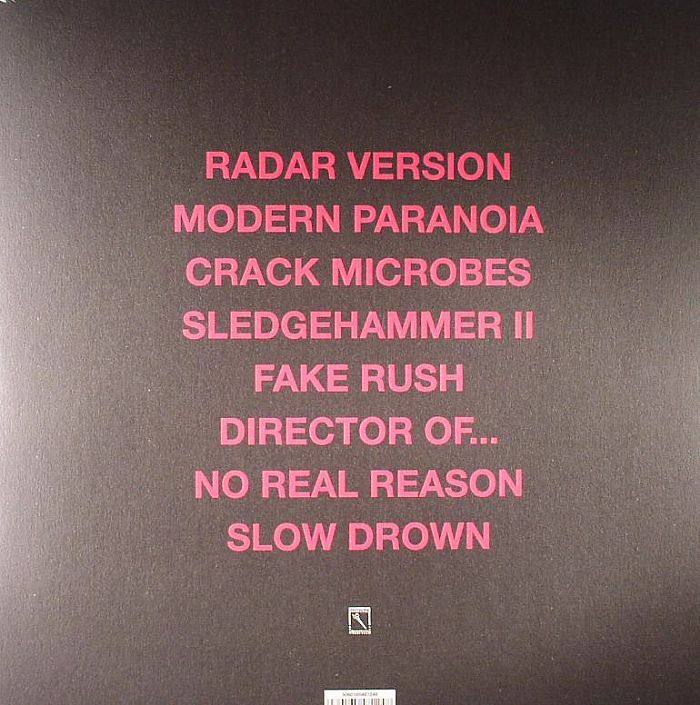 The corrugated growl of "Modern Paranoia" and the broken metallic rhythms of "Crack Microbes" are considered highlights!